The report says that Apple has been collaborating with both Foxconn and Sharp on the TV set design, which is interesting, because there has been a lot of talk about these two companies lately. Sharp is on the brink of bankruptcy and has been looking to Foxconn, and reportedly even Apple, for major cash investments in an effort to try and stay afloat. Sharp was supposedly looking to get out of the TV panel business to focus more on its IGZO mobile displays, but its cutting edge Sakai plant is perfect for making 60+ inch LCD panels for TV sets. In fact, as The WSJ notes, Foxconn has been using panels from the plant to assemble 60-inch TVs for Vizio, a California-based low-cost, flat-panel TV vendor. Of course, before we get too excited, there are a few other things worth note here. 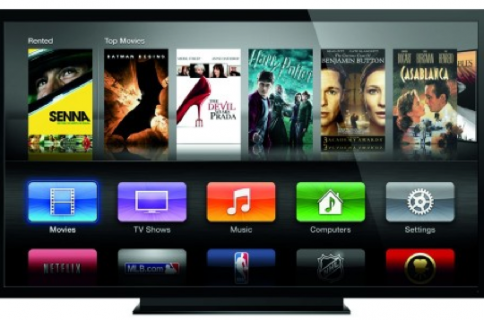 For one, the report also mentions that Apple has tested a number of TV set designs over the past few years. So this doesn’t mean it’s any closer to finishing it. And two, even when Apple does have a set ready for production, its release will still hinge on content deals, which are slow-moving. We’ve heard several rumors about the Apple TV set over the past few years, but recent chatter says that it will run between $1,500 and $2,000, and will come in sizes between 42 and 55-inches. As for features, it’ll include a built-in camera for FaceTime video calls, and a microphone for Siri integration. It’s also said to have an all-new, innovative remote. 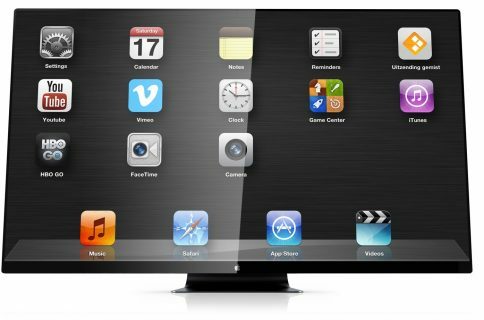 For what it’s worth, there’s recently been some other movement by Apple on the TV front. Apple TV support for Bluetooth keyboards was just discovered in the latest iOS beta, and some strange banners were spotted in a user’s ATV menu. It’s hard to say what all of this means at the moment. 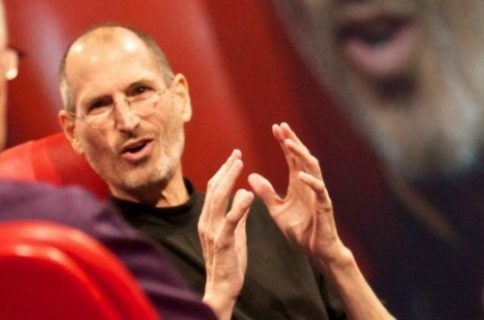 But you have to admit, it looks like Apple is preparing to make a move.